Simply put, Mobile Marketing is marketing on cell phones. This is what I always tell my clients on our first meeting. I don’t try to over complicate in the beginning with terminology that they’ve never heard of otherwise my clients would slip through the grapevine. I work these new concepts and language into our conversation. We have to remember that not everyone grasps exactly what this new marketing channel is so it quite normal to explain everything from A to Z. Alternatively, I always liked MMA’s (Mobile Marketing Association) definition of Mobile Marketing which is “a set of practices that enable organizations to communicate and engage with their audience in an interactive and relevant manner through any mobile device or network”. Mobile Marketing is a channel that has come to life with specific set of tools, strategies, and regulations. Mobile marketing is so unique it’s basically interwoven with every other marketing channels that cannot be fully separated from most marketing campaigns. Combining mobile strategies with existing marketing strategies is a proven formula for success. Businesses all around the world are using mobile marketing, and especially in Canada businesses have understood that they can leverage their physical location into a powerful marketing tool through mobile location-based marketing. When Eric Schmidt, Google CEO said “mobile first” at the Mobile World Congress a couple of years ago, this registered with many marketing professionals instantly as an opportunity to get more involved in mobile and how their companies can utilize this new marketing channel. It’s incredible when giants like Google state that their company would focus on developing for mobile first with all of it’s products going forward. For the CEO of Google this means creating new services for smartphones before developing them for PCs. This only makes sense since the number of mobile phone subscriptions worldwide has topped the billions, and it is clear that mobile devises are part of our daily lives in such a way that we cannot imagine living without them. For anything to be more apparent you need to ask yourself, “when what the last time I left home without my phone?”. I have encountered many businesses that have asked me why is Mobile Marketing different from other marketing? Mobile is a unique marketing tool. You have to give your target marketing some kind of added value in order for mobile to achieve it’s true potential as a marketing tool. No other media is so closely associated to each user (people carry their cell phones nearly 24/7). Mobile marketing is especially great for businesses with a ‘Business-to-Consumer’ focus. It is certainly a great tool for big businesses, but it’s not just for the likes of Coca Cola or household brand names. In fact, small & medium sized businesses are ideal matches for mobile marketing. Local businesses can use mobile as a powerful marketing tool. Almost any business that markets to consumers can find a way to market with mobile. 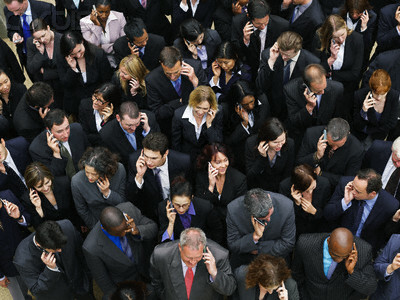 More than 4.2 billion people use SMS and collectively sent 9 trillion text messages in 2011 around the world. You may think that text messaging is only for young people, or you maybe know people who claim they have no intention of learning how to text. However, a September 2011 study by Pew Research Center finds nearly three-quarters (73 percent) of American cell phone owners are texting, and nearly one-third (31 percent) prefer texting to talking.